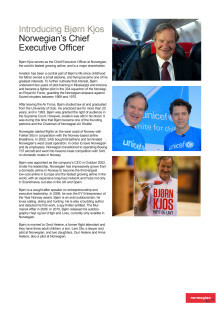 Bjørn Kjos serves as the Chief Executive Officer at Norwegian, the world’s fastest growing airline, and is a major shareholder. 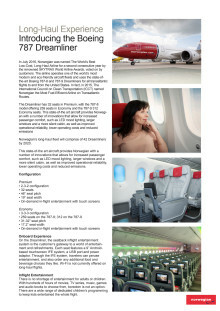 Norwegian operates one of the world’s most modern and eco-friendly aircraft fleets and uses the state-of-the-art Boeing 787-8 Dreamliner for all flights to and from the United States. 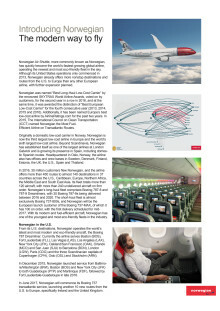 In fact, in 2015, The International Council on Clean Transportation (ICCT) named Norwegian the Most Fuel-Efficient Airline on Transatlantic Routes. 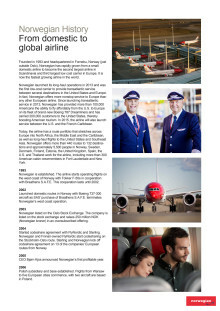 Founded in 1993 and headquartered in Fornebu, Norway (just outside Oslo), Norwegian has rapidly grown from a small domestic airline to become the second largest airline in Scandinavia and third largest low cost carrier in Europe. It is now the fastest growing airline in the world.